on Saturday, October 20, 2018. 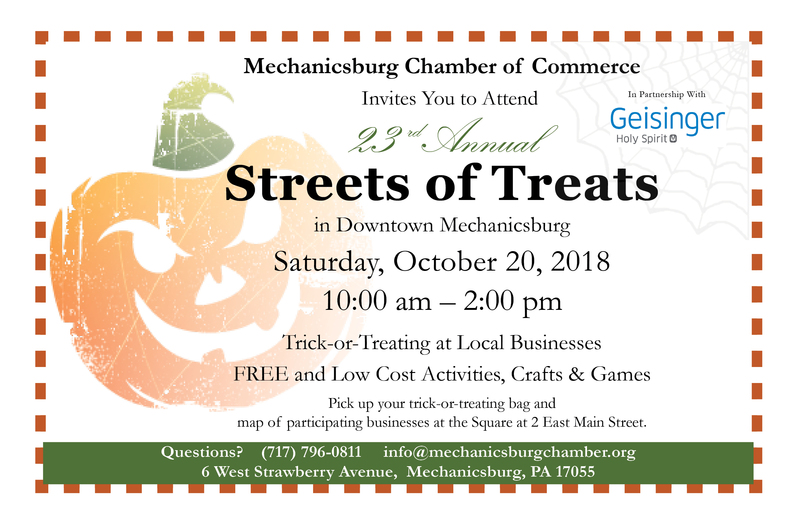 This family-oriented event, presented by the Mechanicsburg Chamber of Commerce, features safe, daytime trick-or-treating, crafts, games and other children’s activities. This event is held in downtown Mechanicsburg. Pick up your trick-or-treating bag and map of participating businesses at the Square on the day of the event (SW corner of Main St) and guess the weight of the pumpkin for a chance to win a prize. Downtown Merchants: All downtown merchants are invited to participate in this fun-filled event. Please contact the Chamber office to register and be added to the official map. Non-Downtown Merchants: South Market Street will be closed between Main and Simpson streets. 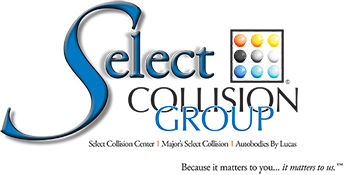 We invite all Mechanicsburg Chamber members to set up a FREE booth. Space is limited. Please contact the Chamber office to reserve your space. 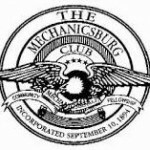 Parking: FREE street parking in downtown Mechanicsburg. FREE Public lot on West Strawberry Ave.
Restrooms: Myers-Buhrig Funeral Home & Crematory, 37 E Main St.
Capital Joe Coffee, 36 W. Main St.